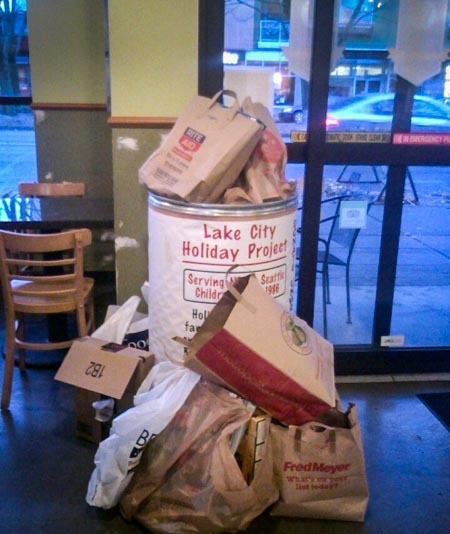 The Lake City Holiday Project received barrels of support this season. Local retailers hosting the barrels saw a very generous amount of donations to this seasonal event. Kudos to Washington Federal Bank, Lake City Autoworks and Kaffeeklatsch Bakery for being a welcome and available business supporting those in need. Another year of support and working together. THANK YOU!